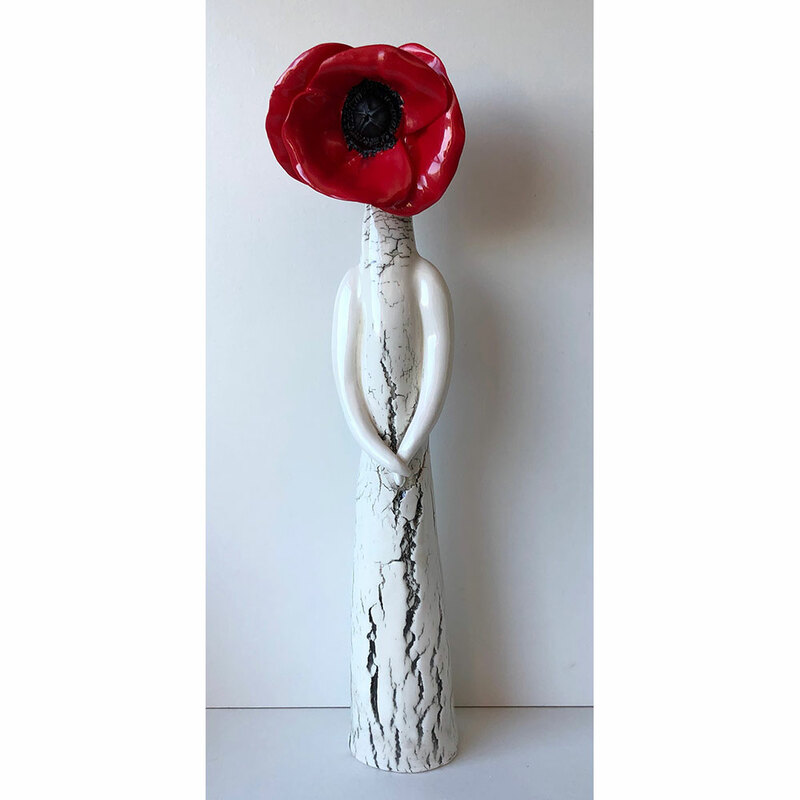 Hi my names Carolyn Clayton, I am an artist based in Shropshire, England. 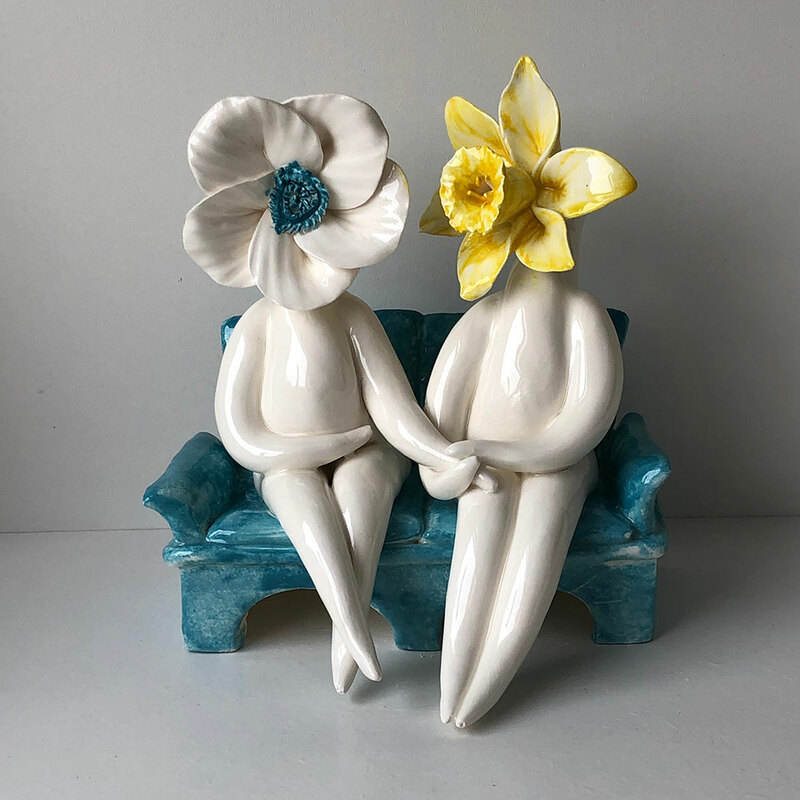 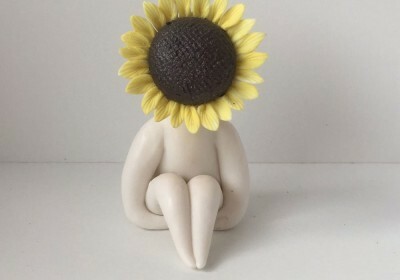 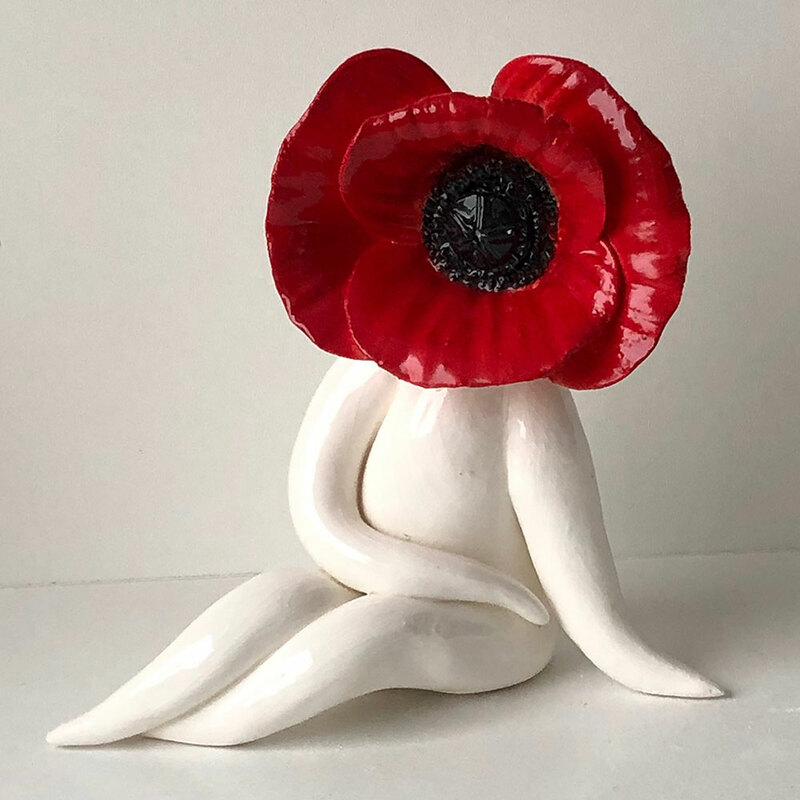 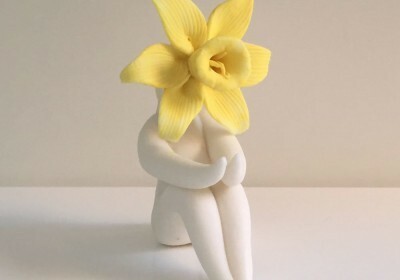 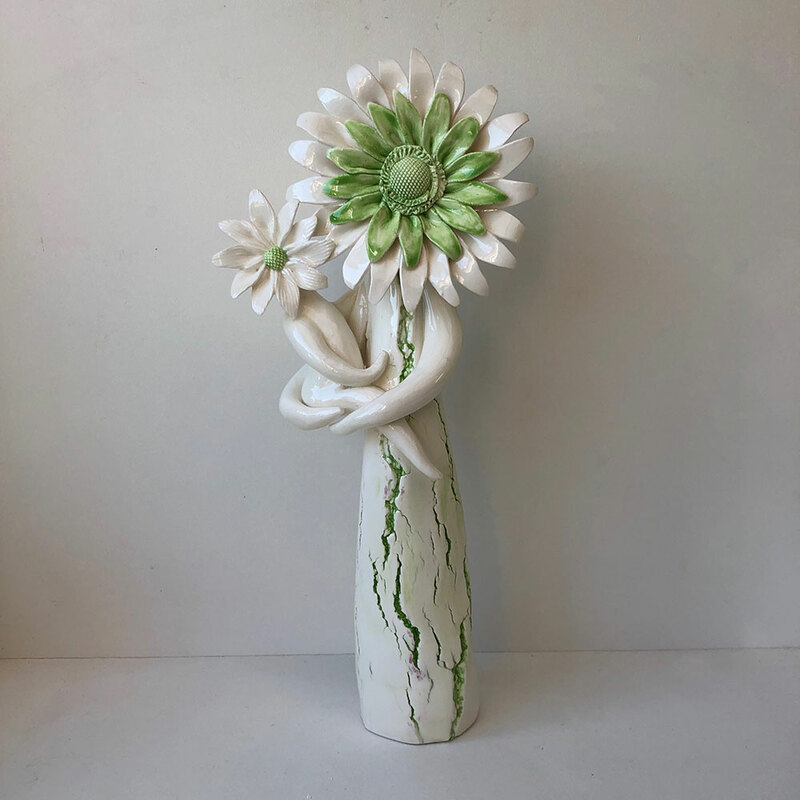 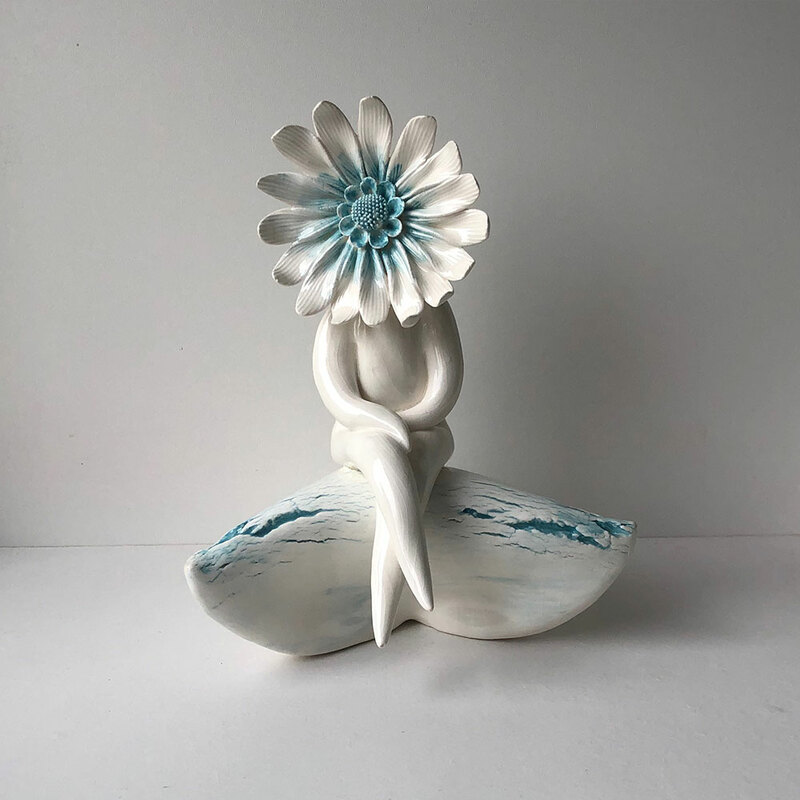 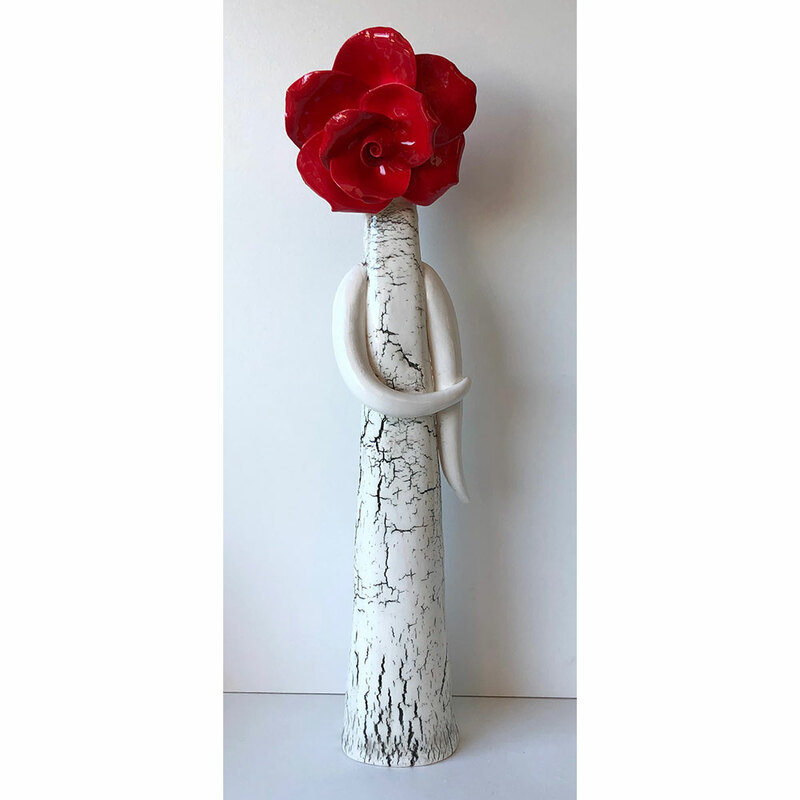 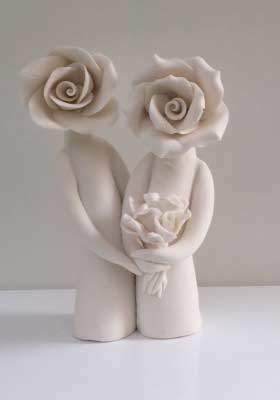 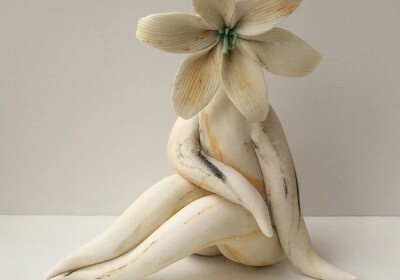 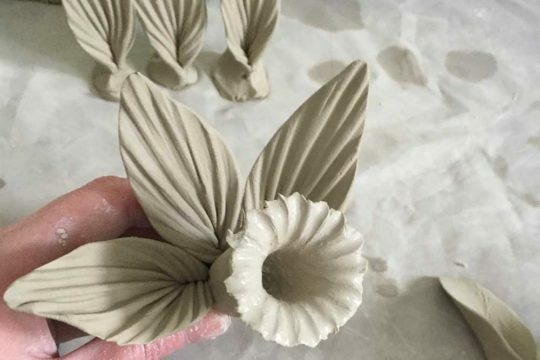 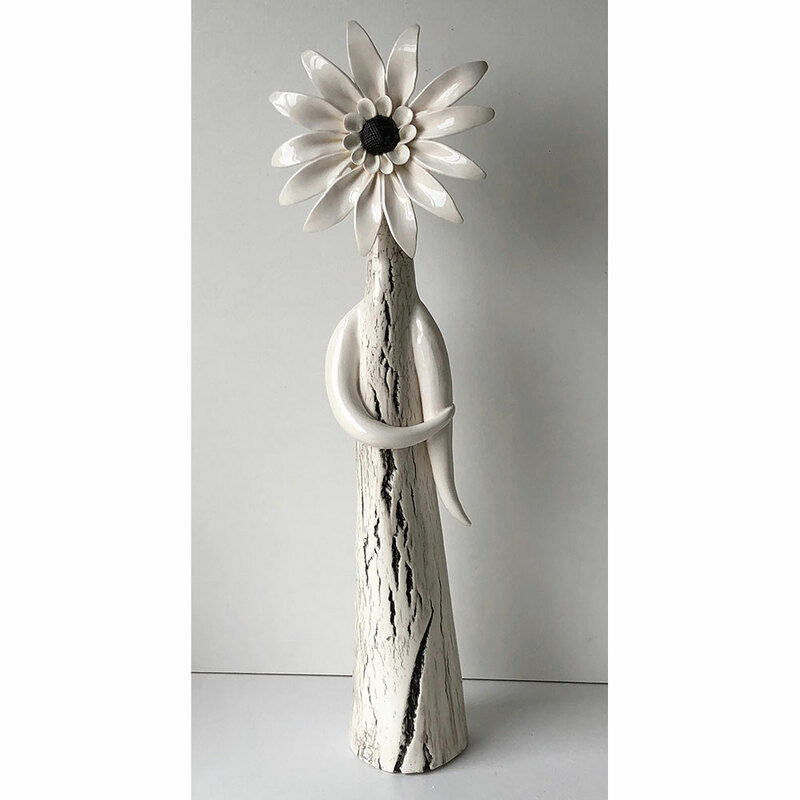 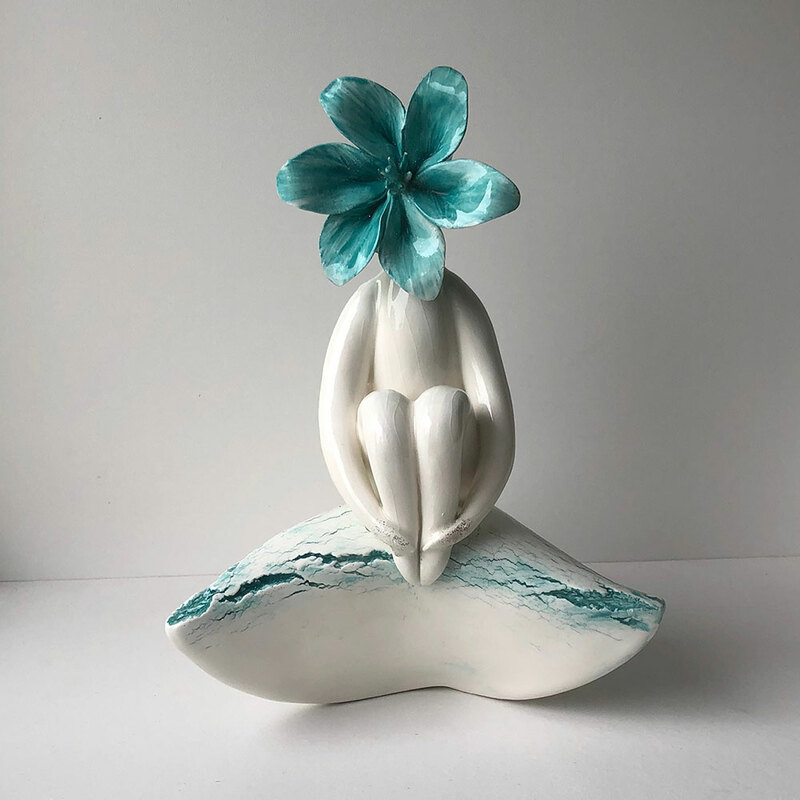 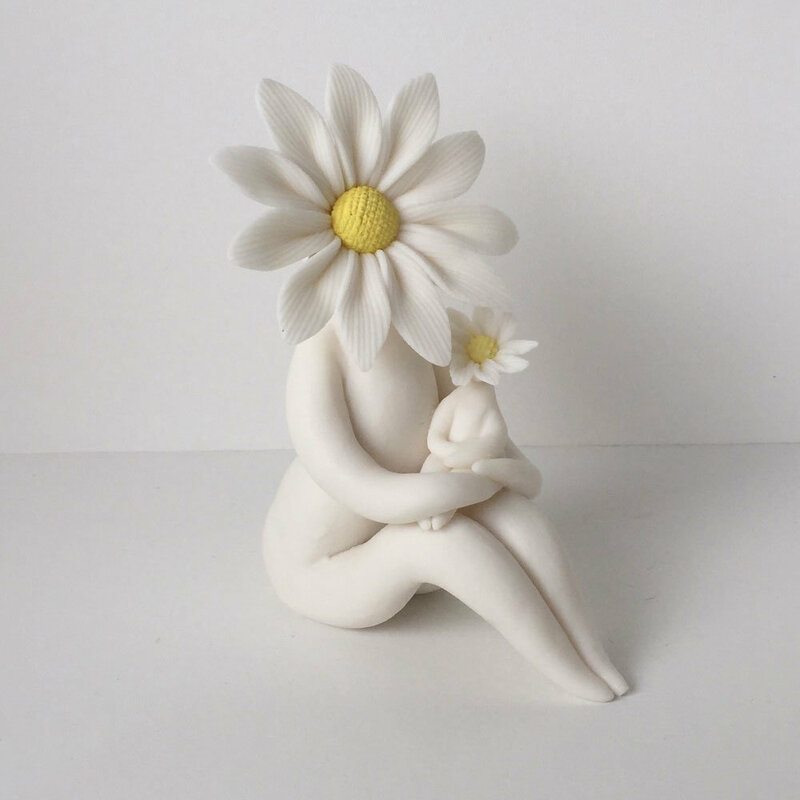 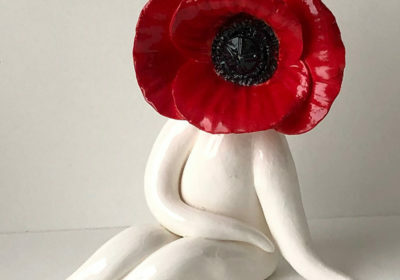 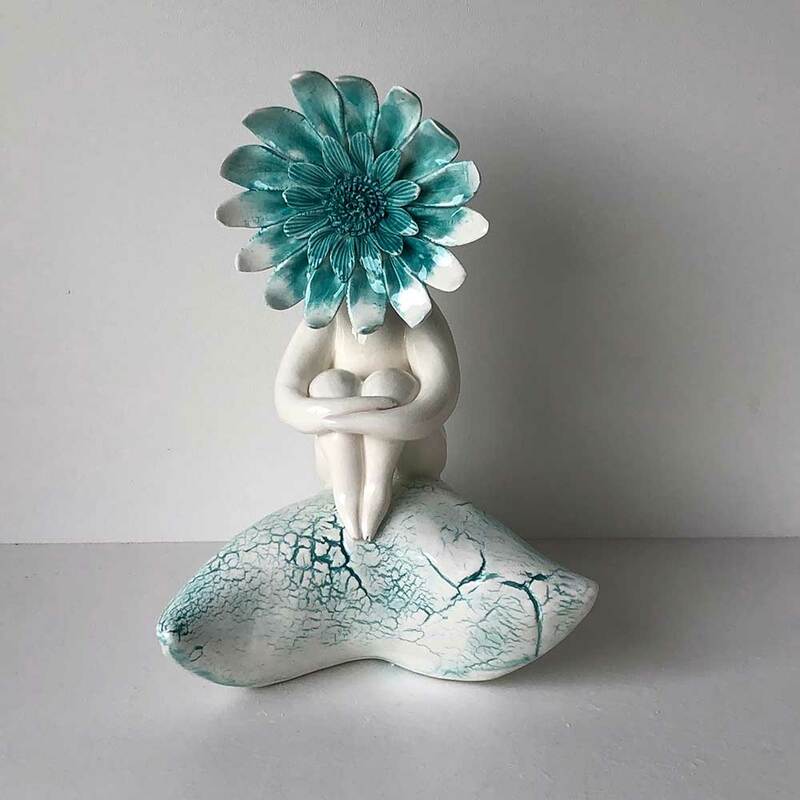 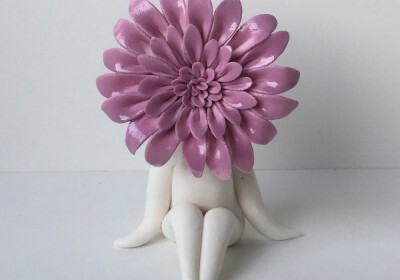 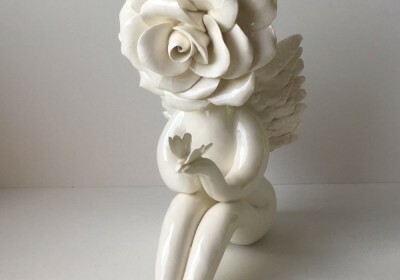 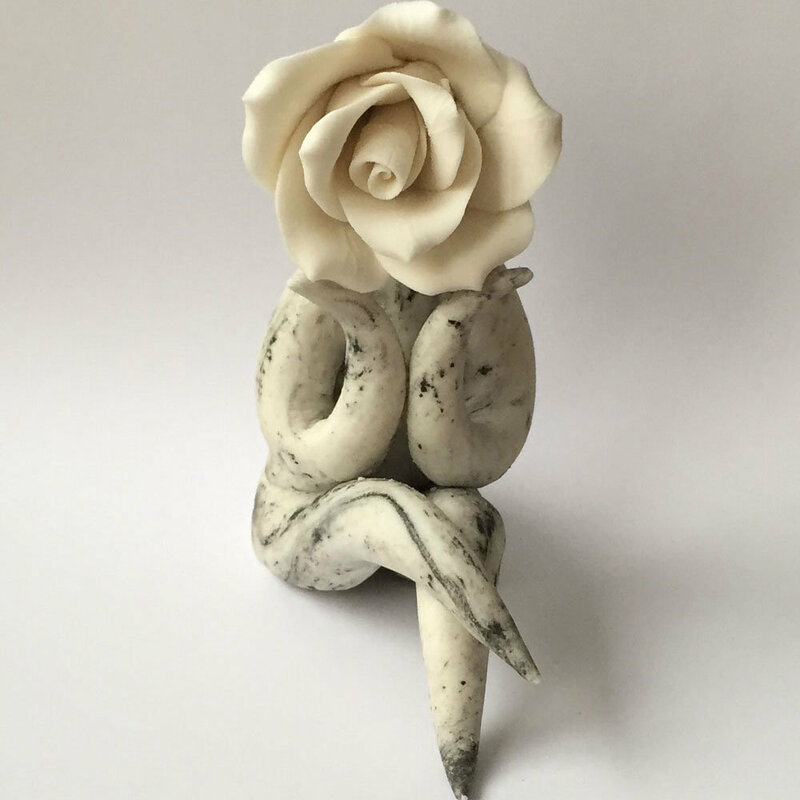 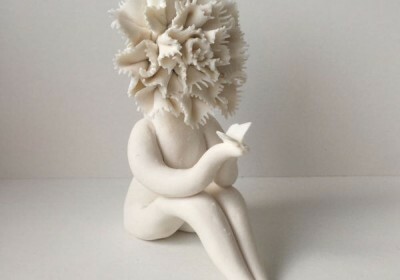 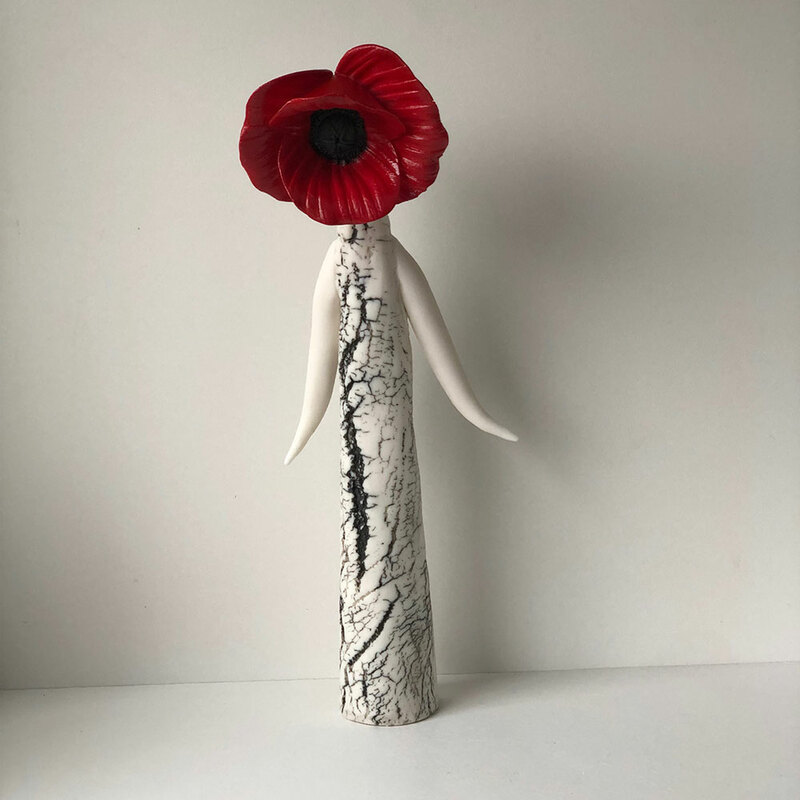 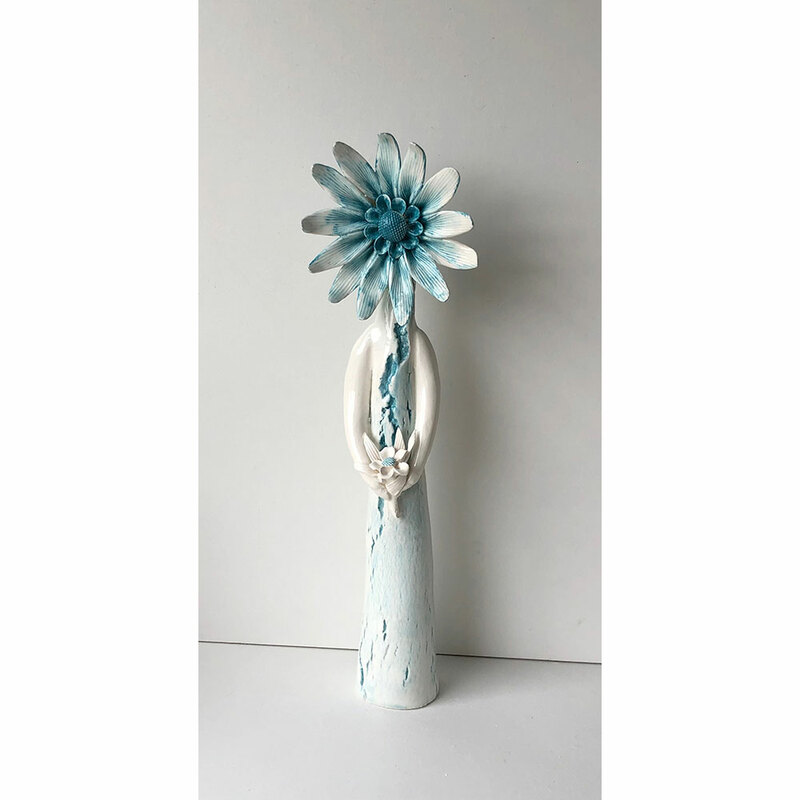 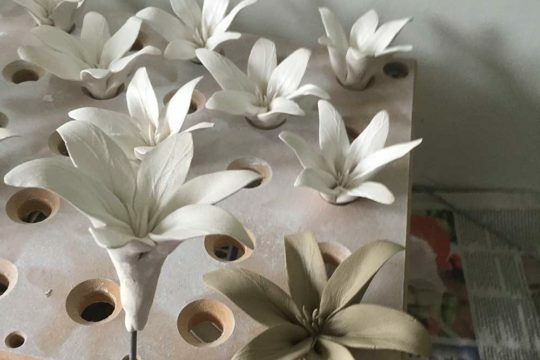 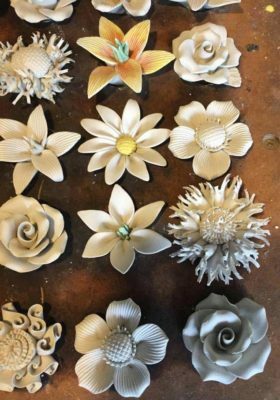 My ceramic flower sculptures or “flower people” as often call them, have evolved from my love of nature and demonstrating the old technique of bone china flower making at Coalport China Museum. 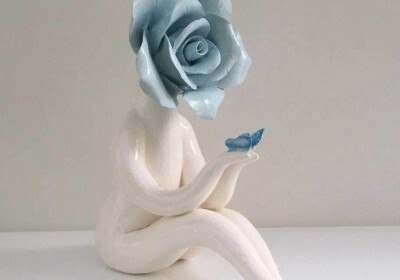 We are all creators. 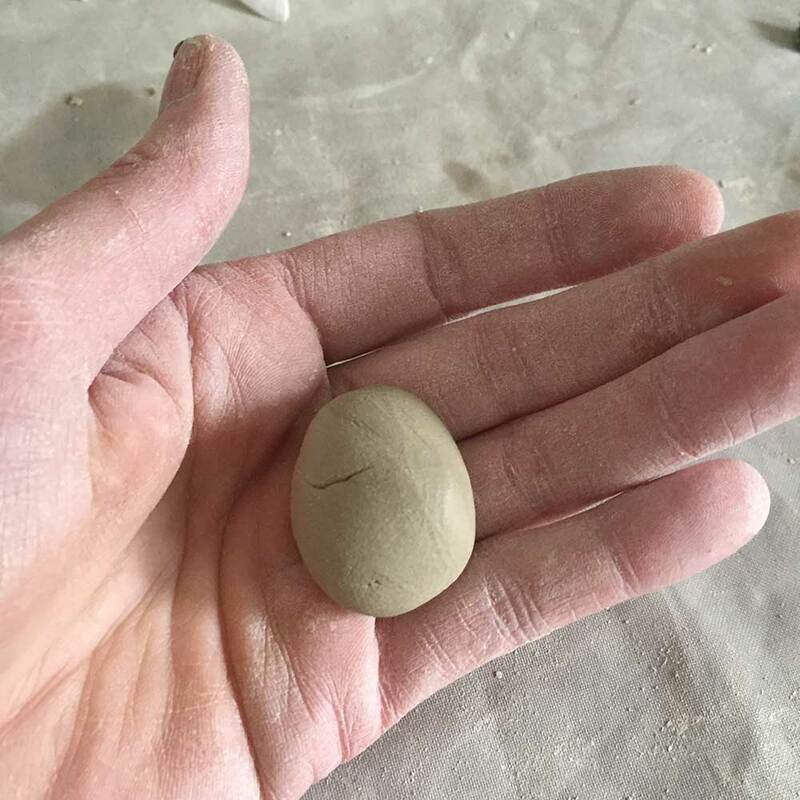 I am fascinated with physics and the universe and how we are all just fragments of energy, from the same source creating our reality. 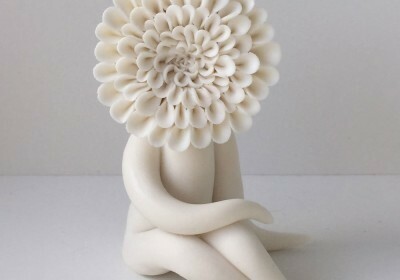 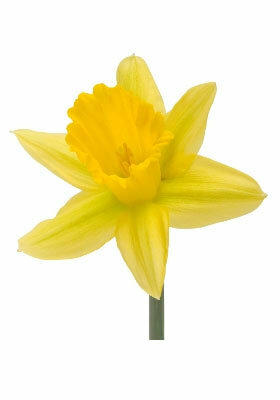 We are all the same, whether we are human, flowers or animals, we are all made of the same stuff. 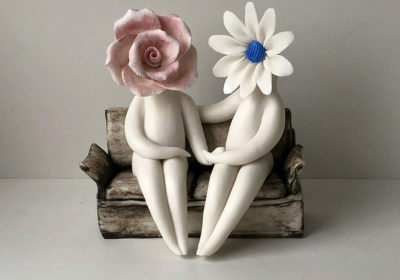 Part of everything. 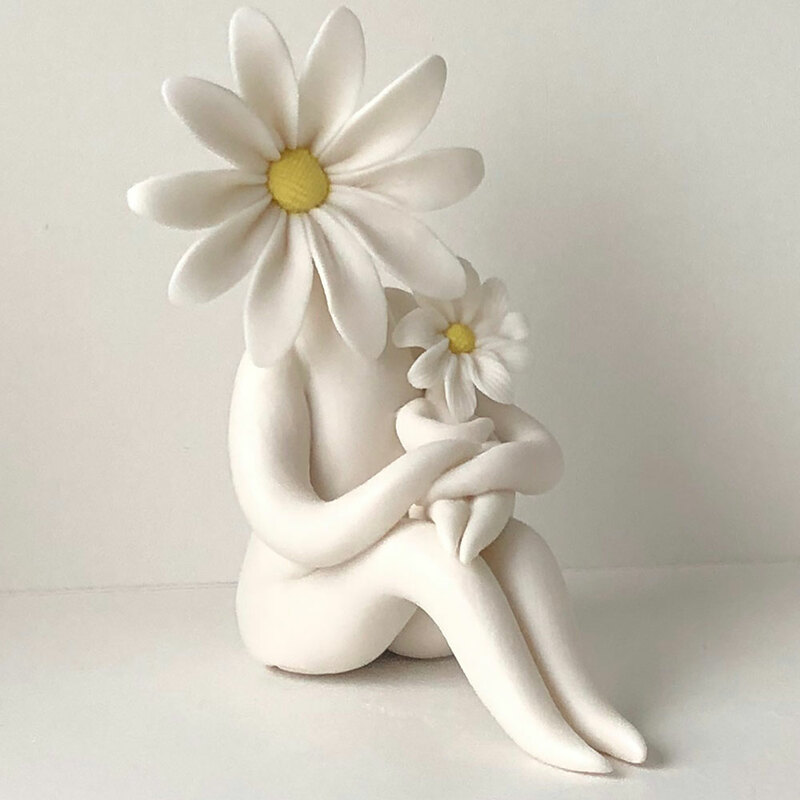 We are all beautiful in one way or another, each different and unique, but inside the same, and for me my flower people represent that. 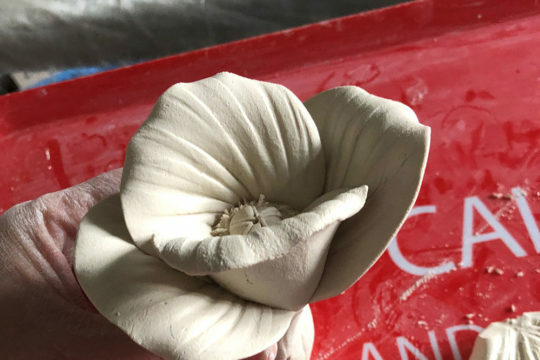 Using a number of clays to create my whimsical art, but I personally prefer the finish of Parian clay with its marble like appearance. 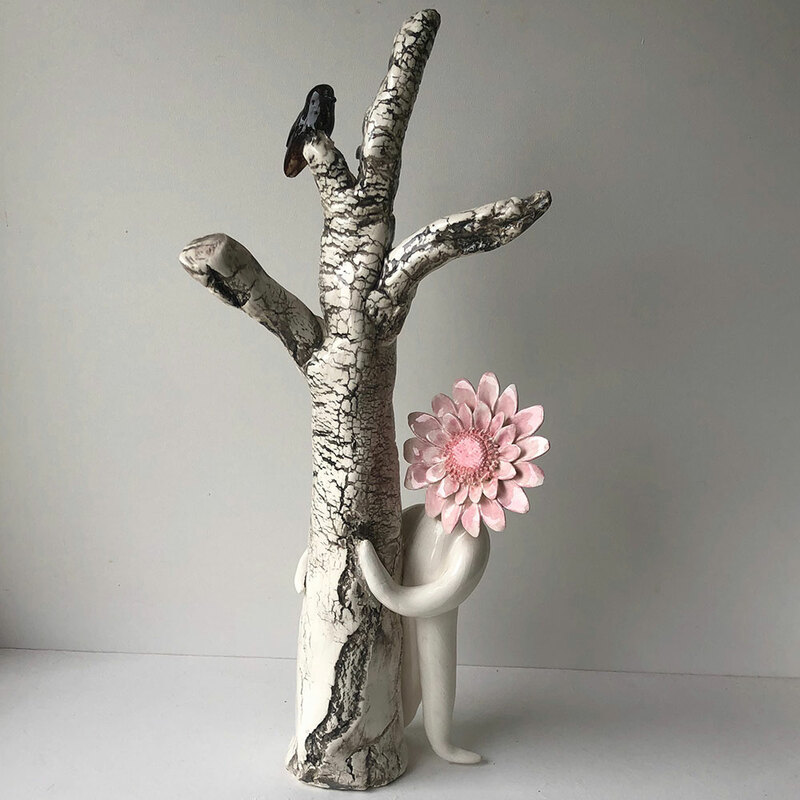 My quirky sculptures make great handmade gift ideas and I offer commissions for personalised gifts. 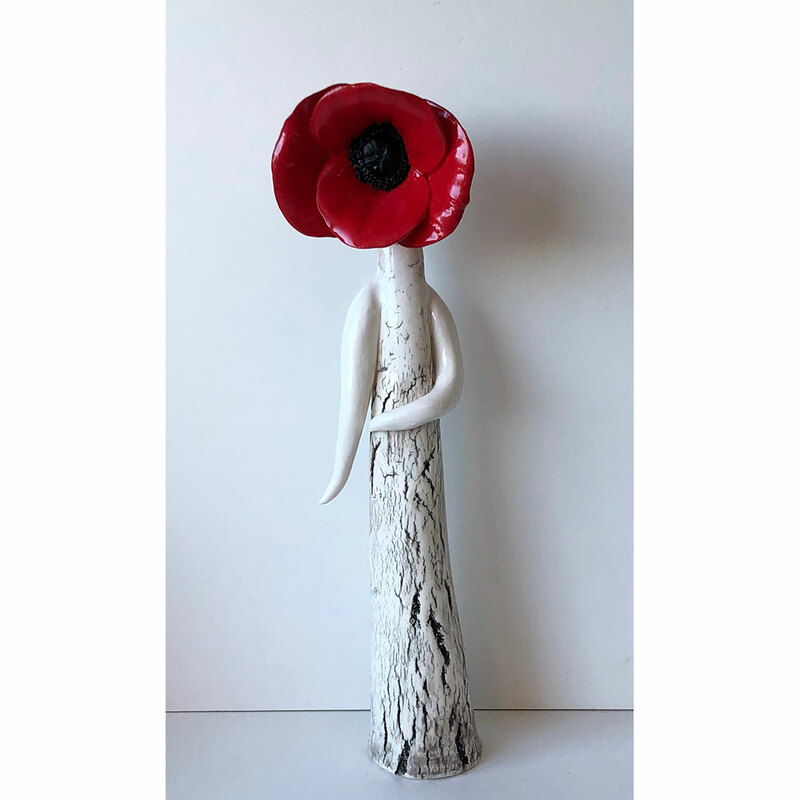 I sell my quirky art sculptures on my website here and also at some shops and galleries around the UK & Worldwide. 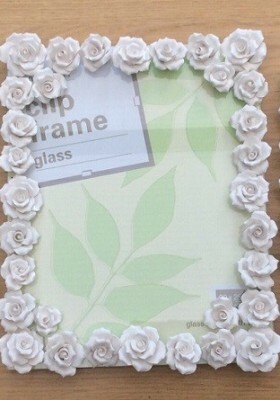 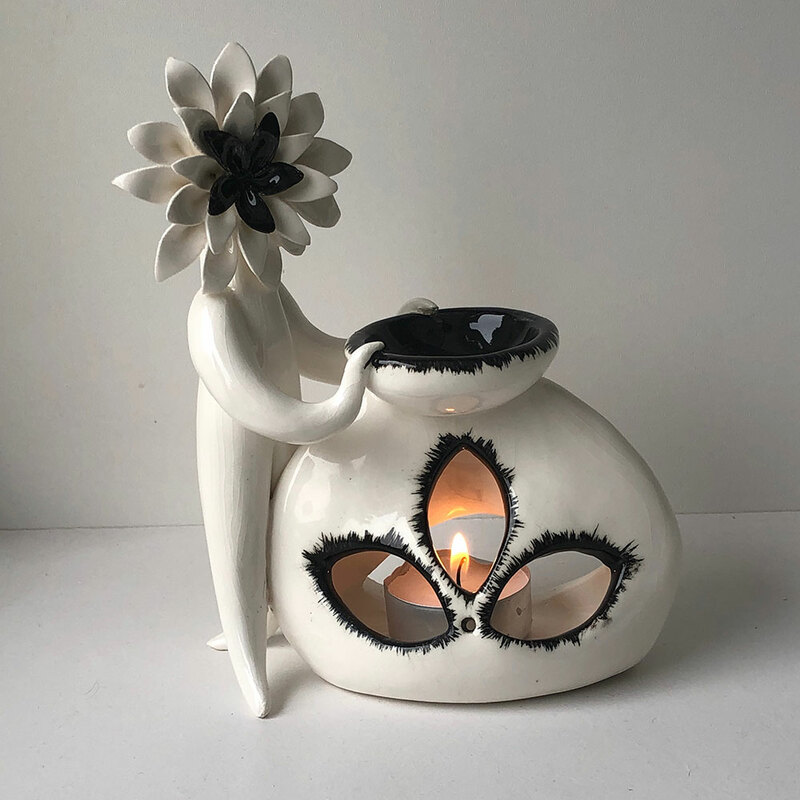 Retailers looking for unique handmade wholesale gifts click here for prices. 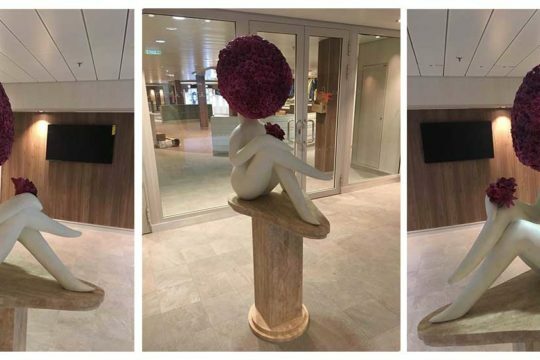 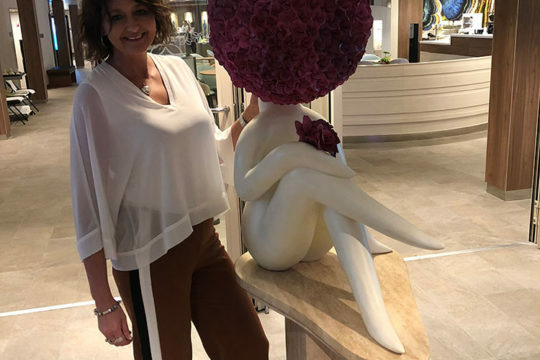 Having recently worked with renowned sculptor Andrew Sinclair MRBS I can now offer much larger sculptures for public places.